Google announced Material Design Support Library for Android Developers with the release of new OS, Android Lollipop 5.0 (API 21). This library includes navigation drawer view, floating action button, snackbar, floating labels in EditText, tabs and motion and scroll framework. These tools help us to make our android application good looking with simple step and you can easily use these tools with the help of Android Design Support Library. Making navigation drawer is very difficult and time consuming before Google announced this material design support library. With this library, you can make your navigation drawer in simple step and less time. 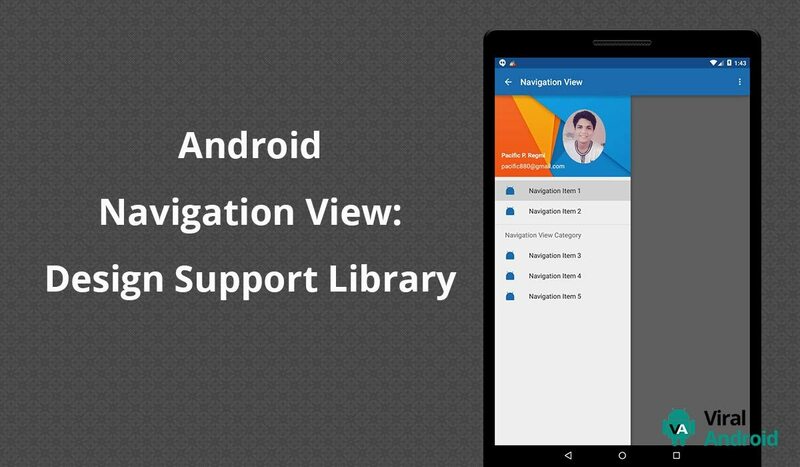 Here I will show you how to make a Navigation Drawer with the help of android Design Support Library. Let’s start step by step. Create a new project with following information. You have to add design support library dependency to your build.gradle file to make navigation drawer view. You can add more menu items according to your wish and also can design your custom menu. Here I have created simple navigation view with a header view and menu item. And do not forget to update your strings.xml file. This is how you can make your Navigation Drawer View. Then, run your application and see how it looks.